After having spent the summer in the Book of Acts, we’re going to take a break. For the next six weeks, I am preaching on texts that relate to topics in Jeff Manion’s book, Satisfied: Discovering Contentment in a World of Consumption. I hope you will read this book and become involved in one of the discussion groups. 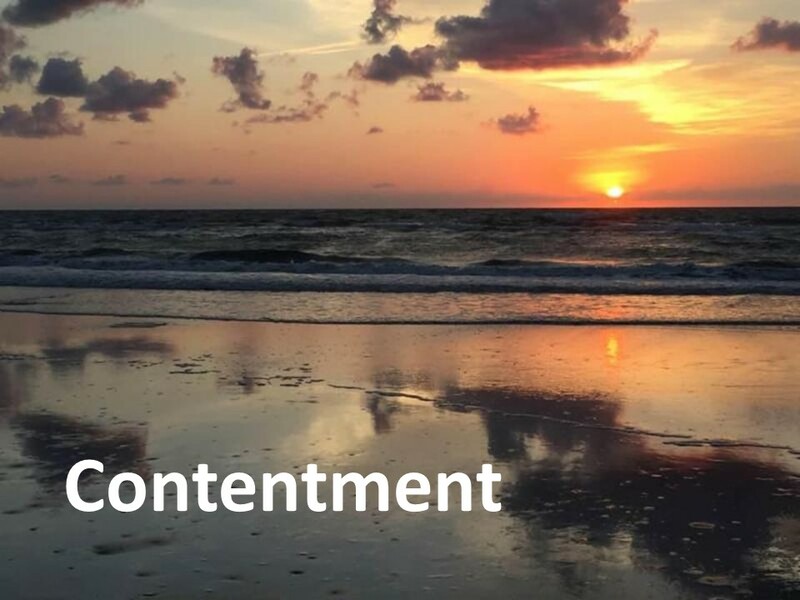 The first section of the book is titled, “The School of Contentment.” We’ve all earned at least a Master’s Degree in contentment over the past two weeks! Thankfully, the high storm surges never materialized and the winds weren’t quite as strong as we feared last Friday. There’s nothing like a storm to help us become contented and thankful. When we only have hours to pack, priorities change! I would like to thank our staff, especially Jim Brown and Betty Gorman, along with the Preschool teachers, who worked hard to prepare the church for the storm. When we locked up the church mid-day Thursday, a week ago, we had taken all the computers and placed them on a table in an inside room, hoping that if we did have storm surge, they would survive. We had water containers filled in case the water system was down when we returned. Jim took the computer server with him as he evacuated and I had the backup hard drive with me. The preschool staff cleared the playground and had all the toys safely secured. We were ready. If you speak to any of the staff, please thank them for what they did to help us prepare. And give God thanks that we were spared any worse damage. Our passage today is from the 1st Letter to Timothy, chapter 6, verses 3 through 10. There’s this Frank and Ernest comic strip. The two bums are leaving church after having heard a sermon from this passage. Stopping to speak to the preacher as they exit the building, Frank shakes his hand and says, “you say we came into the world with nothing and we’re leaving with nothing, at least we’re holding our own.” That’s not exactly what this passage is about. Before I dig into the text, let me give a warning about contentment. It was brought to my attention by one of you, that there are things we ought not to be contented with. I agree. Obviously, we’re all sinners and we are never to be content that we’re good enough. We’re not. We have all, as Paul says to the Romans, “sinned and fallen short of the glory of God.” So while there is much in which for which we’re to be contented, our personal quest for holiness isn’t one. We’re to keep striving to be more Christ-like. Lately I have been disturbed by the political blame game. We hear the cry, “at least I’m not as bad as he is or she is” way too frequently. I wonder about their upbringings. As a kid, when I tried to justify my actions by saying I wasn’t as bad as another kid, my mother would remind me (sometimes in rather harsh ways) that I was responsible for my own actions. Comparing ourselves to others will either cause us to make light of our shortcomings or cause us to covet what someone else has. Both ways lead to sin. Both destroy our ability to be contented. Instead of worrying about others, we have to focus on Jesus… When we look into a mirror and see Jesus, we’re reminded that we are not perfect. But that’s okay because we’re also reminded that we’ve been forgiven and adopted into God’s family which should make us generous and grateful. That’s why we can be contented even when things are not going our way. That’s why Paul can write to the Philippians, while in chains, urging them to rejoice in the Lord always. At this point, in verse six, Paul’s argument shifts as he focuses on his main point. Paul often wraps the core of his message in the center, surrounding it by practical guidelines on each side. Godliness is not a bad thing, he notes, and it can lead to profit, but not necessarily a financial profit. Godliness combined with contentment will lead to a satisfied life! Paul quotes a proverb here, which can be found in Scripture, in the Book of Job, and also in secular Greek writings. 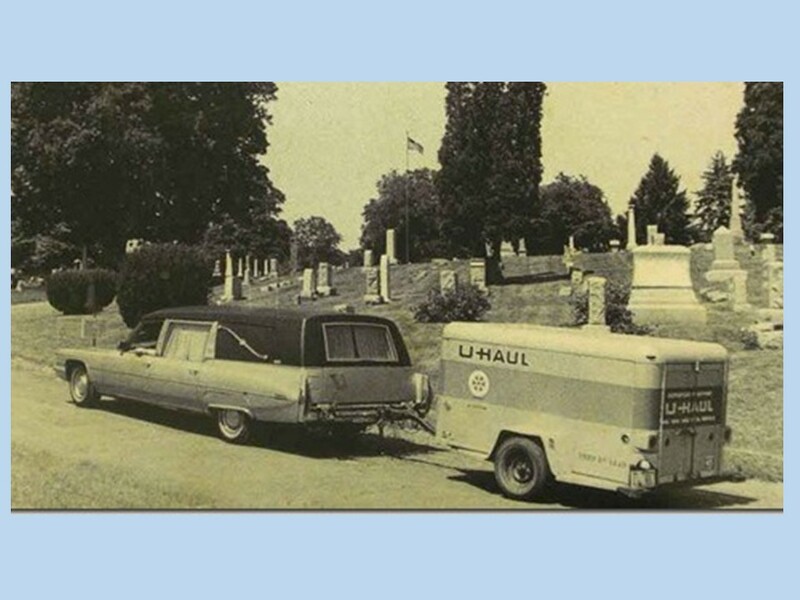 “We came into the world with nothing, we leave with nothing.” Contrary to what you might have seen, there are no U-Haul’s behind a hearse. We need to be content with what we have and what God has given us. The thinking that “I’d be happy if I only had this or that” is dangerous and can destroy our faith and make us miserable as we strive to gain more and more and are less and less satisfied. What do we really need? Clothes (which for Paul may have meant shelter) along with food, nothing more. 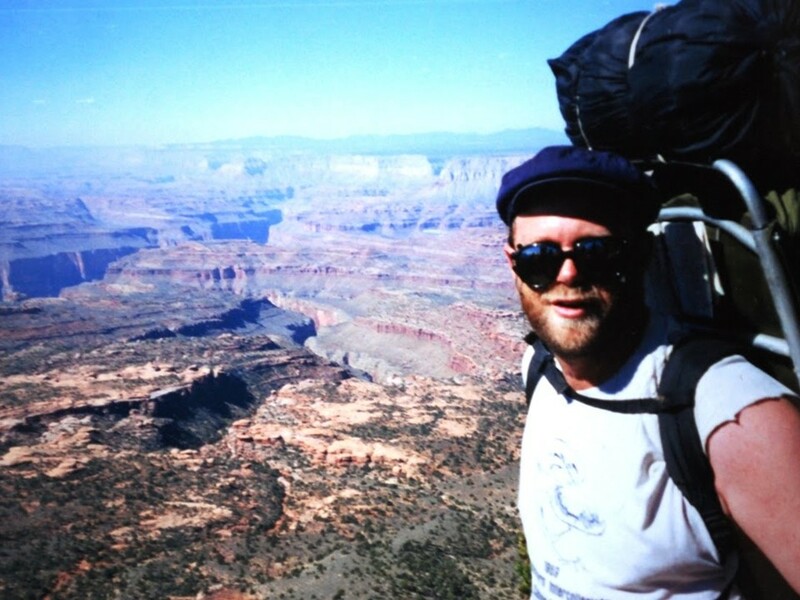 As most of you know, I enjoy backpacking. And if you’ve seen my backpacking equipment, you’ll understand I use it till it no longer works. I still have my old Kelty D-4 backpack, which I used to hike the Appalachian and John Muir trails. I’ve had to change the shoulder straps and waistband a few times. Everything else is original. With backpacking, the less you can carry, the better you enjoy the hike. Sure, I can shoulder a 65 or 75 pound pack, and although I may have many luxuries with me, the trip won’t be nearly as enjoyable as toting a 40 pound pack. 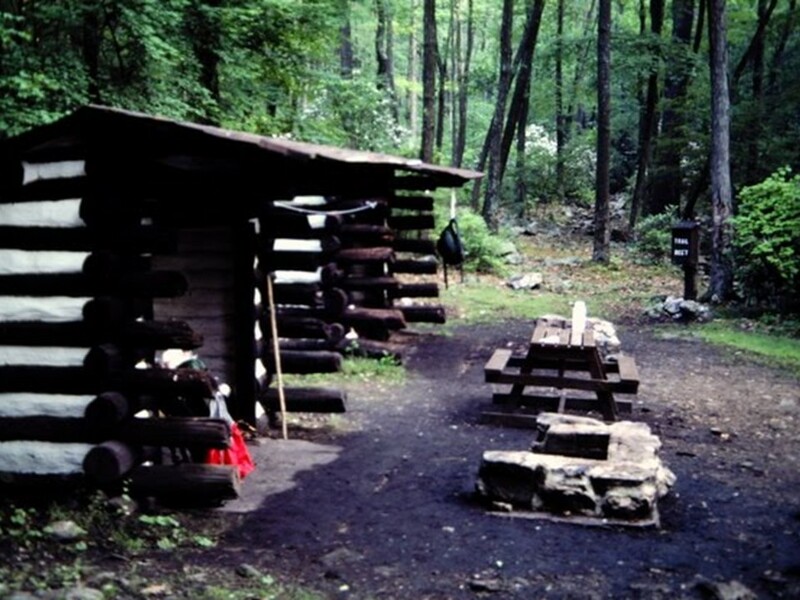 When I was on the Appalachian Trail, this was in the lower part of Pennsylvania, I was camping near a shelter site which had a spring for water. I felt blessed as I was the only person at the site. I set about fixing dinner at the picnic table that was provided. Having a picnic table made this a five star campsite. As I was preparing my meal, a family came hiking in. The mother and father each had huge packs that made mine look puny. The two kids, who were around five or six, had a smaller pack with a stuff animal sticking out of the top. They were exhausted. This was their first family backpacking trip. They’d planned on hiking ten miles that day, but had only done three. The father asked if they could camp in the area. I agreed and pulled all my stuff to one end of the table, allowing them to sit on the other end. They set up camp and I began to read and catch up with my journal. Then the dad asked if I could show him how all his equipment worked. I went over and saw that he the same stove I had, a multiple fuel version that allowed me to refuel at a gas station. I thought was overkill for someone doing weekend trips. The problem was that he’d left behind his windscreen and potholders that came with the stove as the guy at the store had sold him another windscreen and potholder, which was really nifty. Unfortunately, it went with a different stove. In the pack this windscreen covered a set of nesting pots which were also exclusively designed for the other stove. It wasn’t going to work. I ended up helping him find some rocks to create a windshield and a potholder that would allow him to use his stove. As we were doing this, I spied his other luxury equipment and I thought to myself, the guy at the store must have made a handsome commission selling him stuff he didn’t really need. I have no idea what happened to this family, if they ever used this equipment again. That night his wife put her foot down and insisted that in the morning they were going to turn around and go home. I hope they took up backpacking again, and that they learned the value of going light. It’s a lesson we could all learn. Having possessions and nice things isn’t bad, but they do weigh us down. 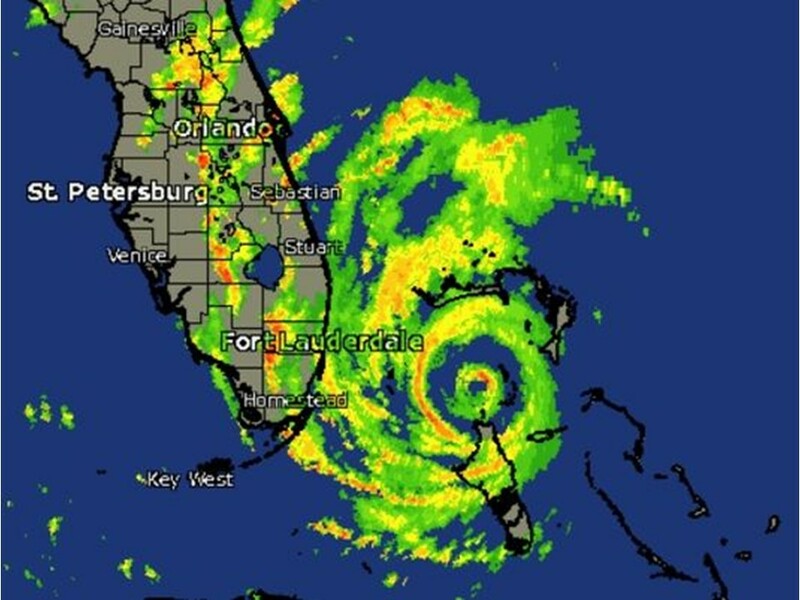 When a hurricane is chewing up the eastern seaboard, what becomes our priority? Paul encourages his readers to be content with what they have—it’s the only way they and we can truly be happy. Have you ever been to a third-world country and watch children play? They run around and laugh while kicking a soccer ball that looks like it’s been through a few wars. But they’re content and happy, without the latest iPod or computer game. In verse nine, after having made this point, Paul speaks not just to the church leadership but to everyone, reminding us how our desires can be destructive. Wanting to be rich creates great temptations. Think about that. 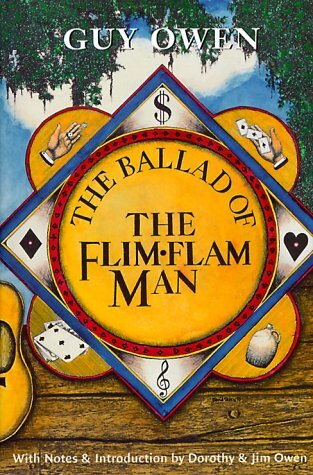 One of my favorite books is Guy Owen’s The Ballard of the Flim-Flam Man. It was made into a movie, which I’ve never seen, but the book is wonderful. You’ll laugh till you cry. Mordecai Jones, M.B.S., C.S., D.D. is the Flim-Flam man. The initials after his name stand for Master of Back-Stabbing, Cork-Screwing, and Dirty Dealing. Mordecai joins up with Curly Treadaway, an AWOL soldier. The two travel around Eastern North Carolina, during the tobacco market season, setting up all kinds of scams. Mordecai becomes a father-figure to Curly as he teaches him the rules of the game. They capitalize on greed. “You can’t cheat an honest man,” Mordecai insists. Instead, you let them think they’re cheating you and then you can sell them a bill of non-existing goods. “You can’t cheat an honest man,” but if one is greedy they will fall for all sorts of temptations. Godliness is found in contentment! Money is not the problem, as we see in verse ten. It’s the “love of money.” Likewise, possessions are not the problem. It’s the love of possessions. Sooner or later money and possessions will have no value. Why waste our love on that which is temporary. Love God, love your spouse, love your children, love one another… That’s what’s important. Don’t waste your love on that which is here today and gone tomorrow. Today is Homecoming Sunday, a time for us to all celebrate after we come home from summer destinations. But this year, we’re all a bit stressed. 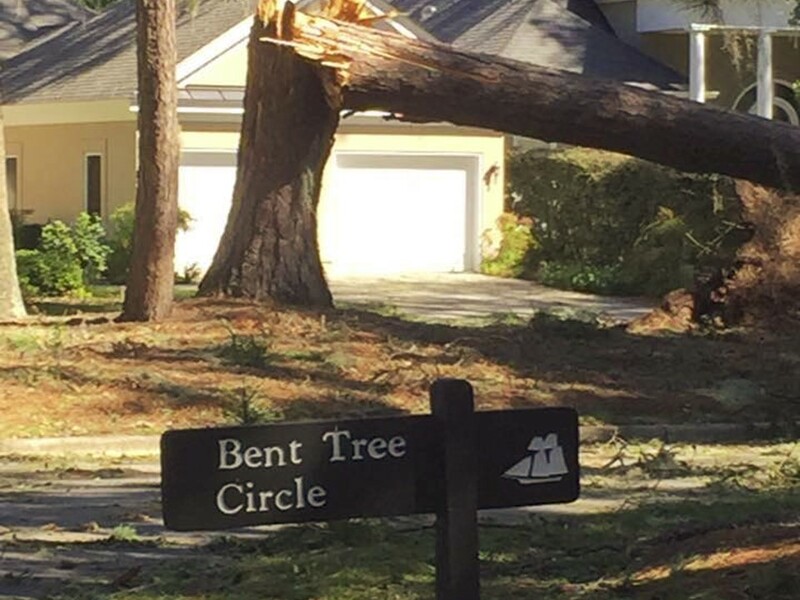 We have had two destructive storms in a little over a month. The rhetoric of the presidential campaign is constantly running in the background. Many, myself included, have had medical scares. These are things we have no control over, but they have us all on edge. We all need remember that we’re in God’s hands. Earlier in the service, we heard the 46th Psalm, in which the Psalmist describes the chaos of the world. And then, in the midst of the turmoil, God calls out to the Psalmist: “Be still, and know that I am God.” We all need to take a few deep breaths, to enjoy one another’s company, and to be content with our blessings. For despite all that tries to destroy the peace, God is still God and we are still his children, and in the end all will be well. If we believe this, we will all graduate with honors from the school of contentment. Amen. J. N. D. Kelly, Commentary on the Pastoral Epistles: Timothy I & II, and Titus (1960, Hendrickson Publishers, 1987), 134. Paul does this frequently in First Corinthians. See Kenneth E. Bailey, Paul Through Mediterranean Eyes: Cultural Studies in 1 Corinthians (Drowers Grove, IL: IVP, 2011). Variations of the quote can be found in Job 1:21, Ecclesiastes 5:15 and in the Apocrypha (Wisdom 7:6). It can also be found in the writings of Philo and Seneca, in the New Testament (Luke 7:16-21) and in the writings of Hermas. Kelly, 136.